If it’s not finger lickin, it didn’t come from my kitchen! I stumbled upon this recipe in my mind. 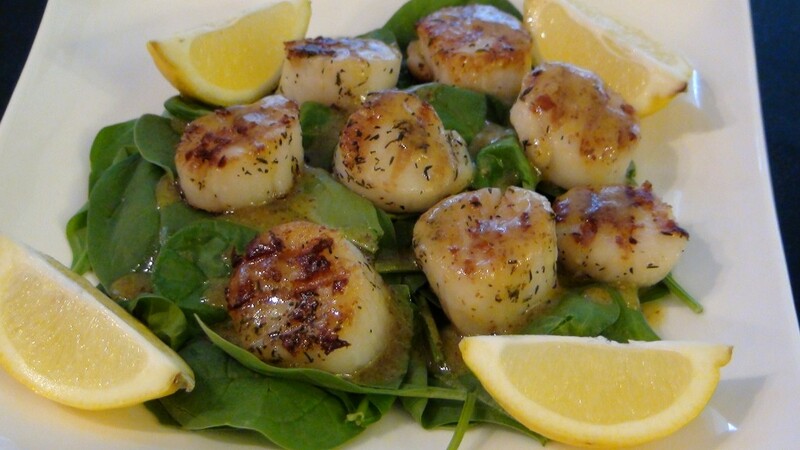 I had the taste for some scallops so I went to the grocery store and bought some scallops but had no idea how I would prepare them. Then it hit me, I absolutely love using baby spinach in my salad. Then I said to myself how can I get the best flavor from these scallops? I told myself let’s keep this one simple because scallops are stars by themselves. So I thought ok, I will toss these scallops in some extra virgin olive oil, some sea salt, pepper and thyme and then grill those babies. Then I said ok, so now I need a dressing. I know lemon is always good with seafood so that was my base. I chose to do a lemon vinaigrette because it’s light and I didn’t want to over power the scallops! By the time I put it all together, I was like OH BOOM BAM KABAAM BOOM! I did it again!!!!! 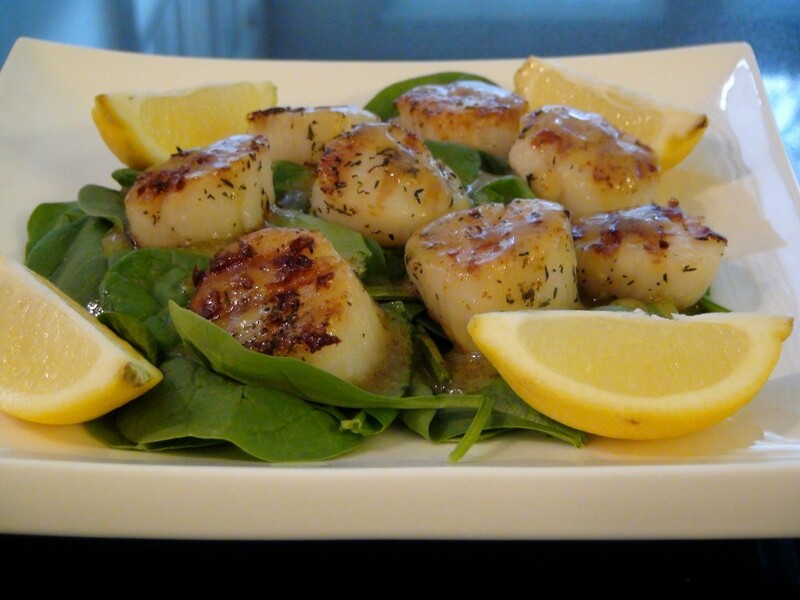 You will love this grilled scallop salad. It is a perfect appetizer, lunch or light dinner! Enjoy and please do not forget to LIKE my FB FAN page on my HOME PAGE. It’s amazing that a recipe so simple can pack all this flavor! SO YUMMY! You knew I had to get up close and personal! Mouth Watering Yet?? SMILE I know, mine too!! My name is Utokia Langley. I come from a family of great cooks, none of them professional chefs but trust me some of the best flavors came from the kitchens in my family! Flavor has always been a priority with any meal, whether it was breakfast, lunch, dinner, dessert or just a snack. Alright Utokia, I’ve had my eye on several of your recipes but I think I will start with this one. I adore scallops!!!! Thanks for sharing your creations. Welcome to She’s Got Flavor Kathy. Wow, I’ll have to pay Krystel and visit to thank her. Stay tuned for more and more flavorful recipes. and it was some kinda good… I’ve never had scallop and it was delish.. 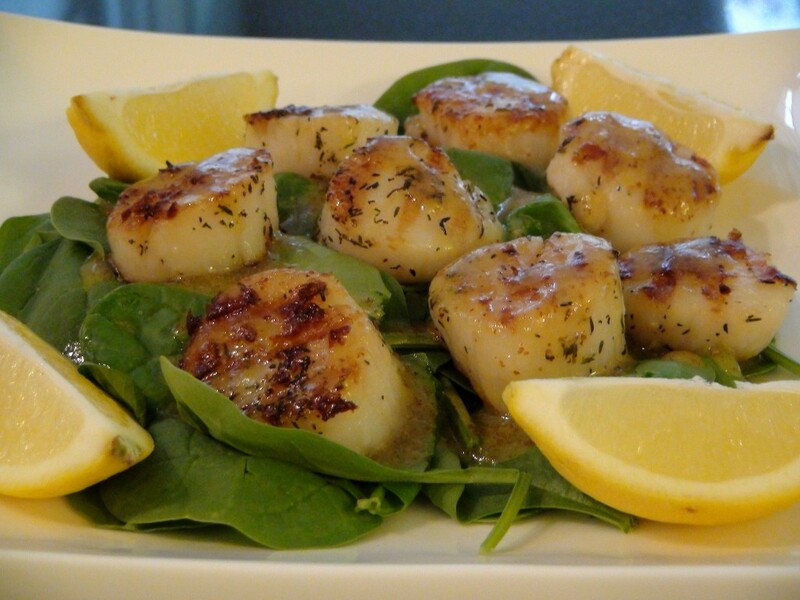 I will be making again for the girls night over… Thanks for sharing…..
Hi Cookee, I am soo happy you enjoyed the grilled scallop salad, my husband and I loved it as well. Hope you continue to visit She’s Got Flavor for more recipes. Welcome to my Blog, I am Utokia Langley. Thank you for spending some time with me! I hope you enjoy yourself while you are here and visit often! And by all means leave me comments, I love hearing from you! @2018 - She's Got Flavor.